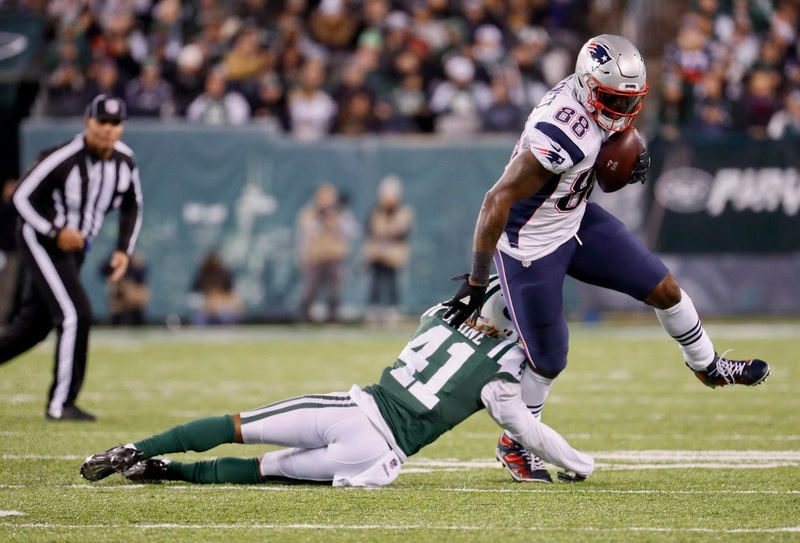 The Patriots beat the Broncos mostly on the strength of their defense last week, but now they're back home to face a much weaker opponent: The New York Jets. 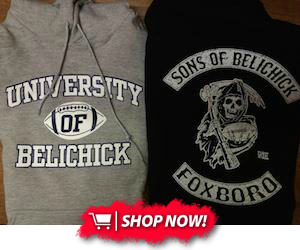 Will their division rivals give them a rough time, or will the Pats bounce back? Let's break it down and find out. Recently, Tom Brady has been on-and-off: it seems like every other week he has a big game, then he won't throw for a TD the next. Regardless, I think he's going to be fired up against a weak Jets team that almost upset the Pats in New York. That being said, the forecast calls for heavy rain and 12 MPH winds, so temper your expectations for Brady this week. He should be startable, but not a monster like he sometimes is. There's absolutely no reason to own Bryce Petty, much less start him against a tough Pats D. Enough said. I was right last week about the Pats running the ball--I was just wrong about who would be running. 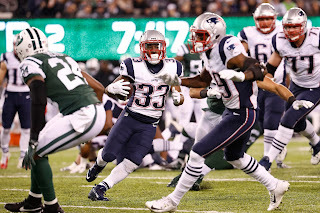 While LeGarrette Blount found his way into the end zone to keep owners above water, Dion Lewis was the real star, racking up 95 yards on 18 carries. This week against the Jets in the driving rain, I think the Pats return to a heavier running style behind Blount--but you never know. 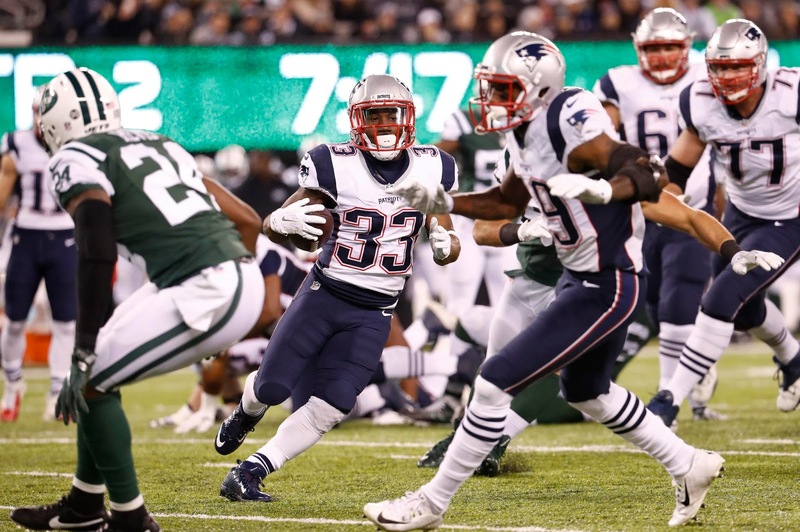 Lewis did do well against the Jets the last time the Pats played them, and his shiftiness can open up some holes in a stout New York D-Line. Slot them both as RB2s, with Lewis gaining more of the yards, and Blount cashing in for a TD. The Jets' Matt Forte has really fallen off a cliff recently, and he might not play thanks to a nerve issue in his shoulder. Even if he suits up, he should stay on your bench this week--the Pats defense is on a hot streak. New England's passing game was off in Mile High, as Malcolm Mitchell and Chris Hogan barely got involved. Expect Julian Edelman to remain steady, especially in PPR formats, but I think both Mitchell and Hogan bounce back against a shaky Jets secondary. All of them are starters or flexes this week. 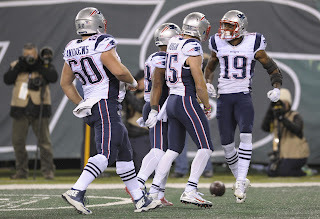 The Jets' Brandon Marshall had a day against the Pats the last time out--so I don't think he'll repeat it. He hasn't been producing lately, and Bill Belichick is one of the best strategists the game has ever seen. Unless he scores a TD, Marshall won't be startable. 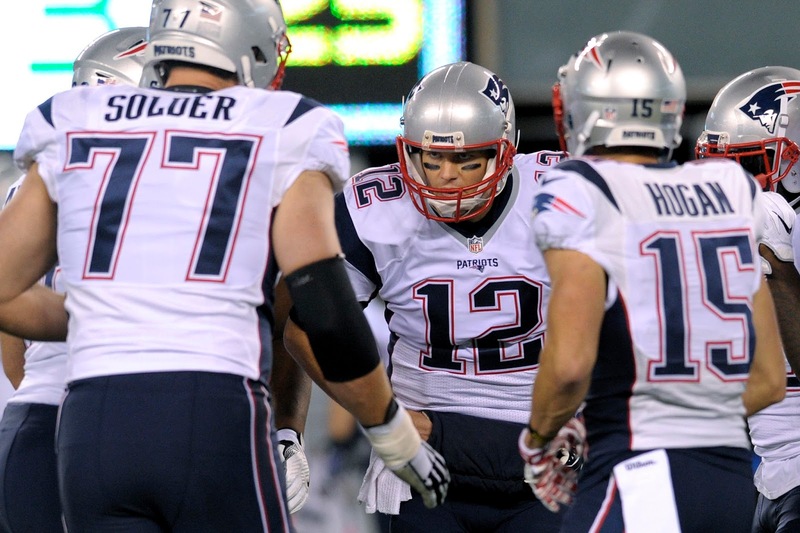 Without Rob Gronkowski, tight ends have been almost cut out of the Patriots' offense. Martellus Bennett, while stable in the running game, hasn't been effective as a receiver. For their part, the Jets haven't done much to feature their tight ends either. Austin Seferian-Jenkins is mediocre at best--if you're in the championship this week, don't take the risk on either one. 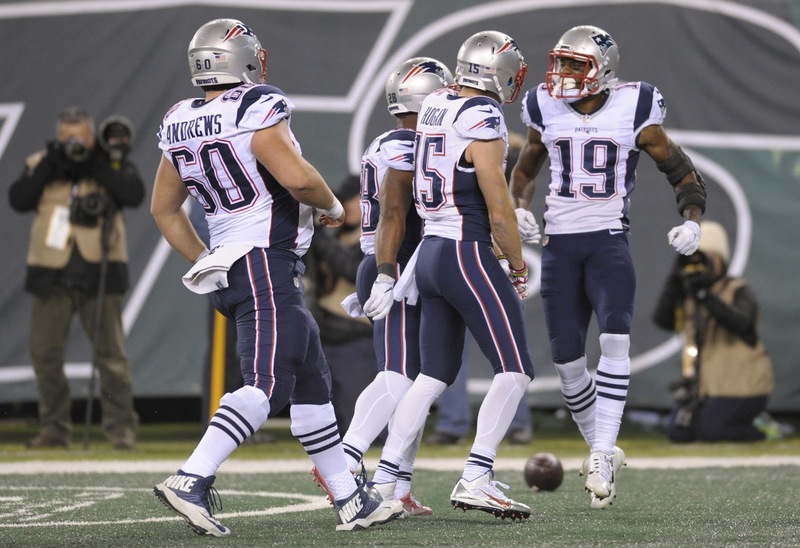 The Patriots defense played possibly their best game of the year last week. They racked up points with turnovers and sacks, and locked down the Broncos offense from start to finish. The Jets, on the other hand, just got shellacked by the Matt-Moore led Dolphins. Start one, sit the other. Clear? For the kickers, Stephen Gostkowski has overcome a midseason slip, and he's back to his place at the top of the rankings. The Jets' Nick Folk has been steady if not spectacular, but I doubt his ability to produce against a stingy Pats D. If there's a good option on the waiver wire in your league, you might want to pick him up. That just about wraps up this week's fantasy breakdown; thanks for reading! Merry Christmas, Happy Holidays, and have a great championship week!